This paper presents the components influencing English as a Foreign Language (EFL) learning demotivation and resilience. 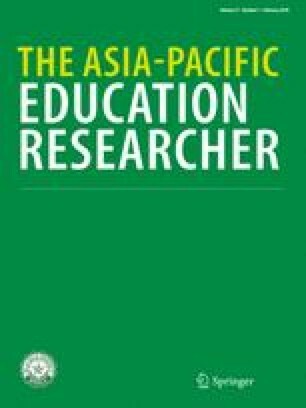 Semi-structured interview data from 23 EFL students and nine teachers were thematically analyzed guided by the Grounded Theory approach after systematic reiterative comparative reviewing. The major demotivators were teachers’ lack of clear delivery for elementary school students, excessive afterschool learning programs at private institutes for junior high school students, and impractical EFL lessons focusing on grammar rather than spoken English for high school students. In order to curb these demotivators and maintain high EFL learning motivation levels, four distinctive components influencing their resilience were identified: social support, emotional regulation, a clear learning goal, and tenacity in EFL learning. This study illustrates that emotional regulation, not negative emotions such as anxiety, is crucial, and students’ clearly stated short-term learning goal is a crucial component in maintaining high academic resilience. Participants cultivated specific components influencing resilience as they advanced academically. Additionally, high-proficiency EFL students exhibited greater tenacity and utilized various coping strategies. We argue for the necessity to refine the sub-constructs of EFL learning demotivation and resilience and recommend the need for a follow-up confirmatory study to prove the conceptual validity of these constructs. The online version of this article ( https://doi.org/10.1007/s40299-017-0365-y) contains supplementary material, which is available to authorized users. Do you have any experience of studying English hard? Could you tell me what your experience is like and the reasons for that? Have you ever experienced that you don’t want to study English? Could you tell me what your experience is like and the reasons for that? Have you ever experienced that you overcome difficulties in learning English and have better results? Do you ask people around you for help when you are having difficulties while studying English? Whom do you ask? (e.g., friends, parents, siblings, school teachers, etc.) What kind of help do you ask for? Have you ever felt bad feelings (sadness, anger, annoyance, etc.) while studying English? What did you do then?